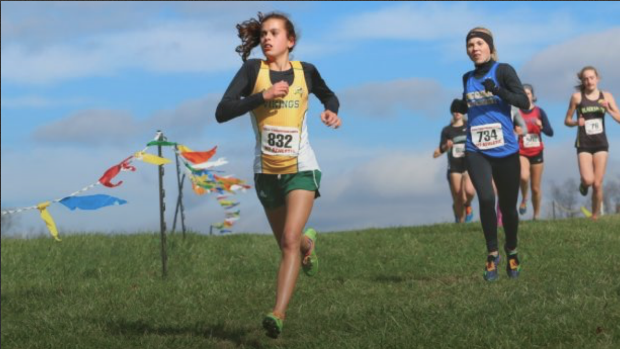 While all the eyes have been on the Loudoun Valley boys these past few years, the girls at Valley have been building quite the dynasty as well. This year though is different, this year they have a real shot at winning the team title. In our mind, that is the biggest story of the season as it relates to VA cross country. The competition they face, Blacksburg. The same Blacksburg that returns to Great Meadow as seven time defending champs. The same team that has amassed a state record 18 team titles and returns their entire top three and five out of their top seven from last year. So you could easily say, Loudoun Valley has faced the toughest competition in the state year in and year out. In 2014 they were state runners-up to Blacksburg in the 3A competition. They then moved to 4A where they faced a bandsaw in the form of Heritage-Leesburg led by Georgie Mackenzie and Weini Kelati. If that wasn't enough the next year they finished runners-up a third time in a row to E.C. Glass who won their first state team title in over 100 years. That brought us to last year when Blacksburg now made the move to 4A and once again stymied Valley's title hopes. They had to settle for a fourth runner-up trophy in as many years. This year though though we think is different. Though Blacksburg is as strong as ever, Valley is too. They are led by young talent who seem ready to peak at the right time this season. They seem hungrier than ever and ready to make history. Not only is a state team title on the line but records are as well. Blacksburg is going for history this year, they tied the consecutive wins title last year and want the record for themselves this year. Loudoun Valley is also chasing history, their first state title in history. Leading the Vikings this year is Ricky Fetterolf who finished 5th last year at states. She is joined by Elise Abbe, Alice Roberts, Abby Keane, and little sister Cecelia Fetterolf. They were definitely competitors heading into the season with those returners but the addition of Kyra Holland and a couple others make things just that more interesting. The real question though is can they all improve and square up with a Blacksburg squad that currently has two returning XC state champions on their team. Did we mention that those two champions rank 2nd and 4th on the team too! This weekend at Great American we are going to get a great preview of what the state meet could end up looking like. We don't expect either team to show all their cards but we certainly expect a large amount of their runners to be on the starting line this weekend. Starting Saturday we can see for sure whether states is going to be as close as we think it could be. Thought the boys will be running two, your eyes should really be on the girls and how they look halfway thru the season and how both them and Blacksburg run this weekend.